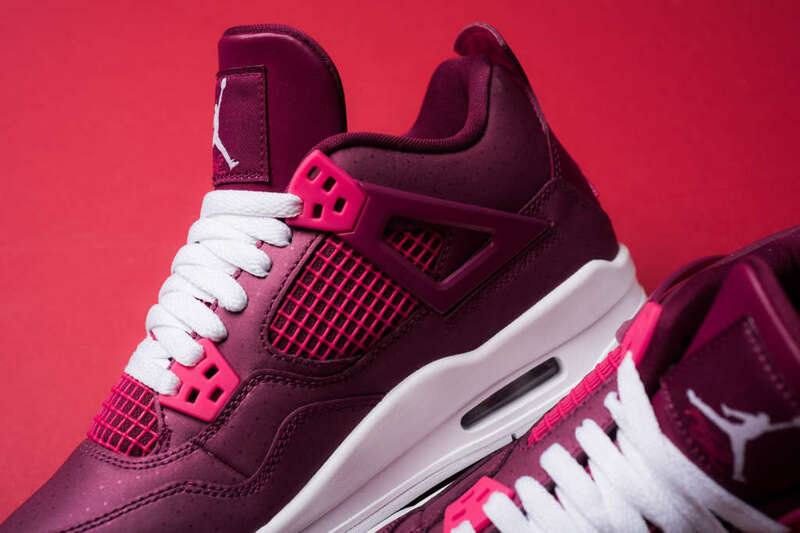 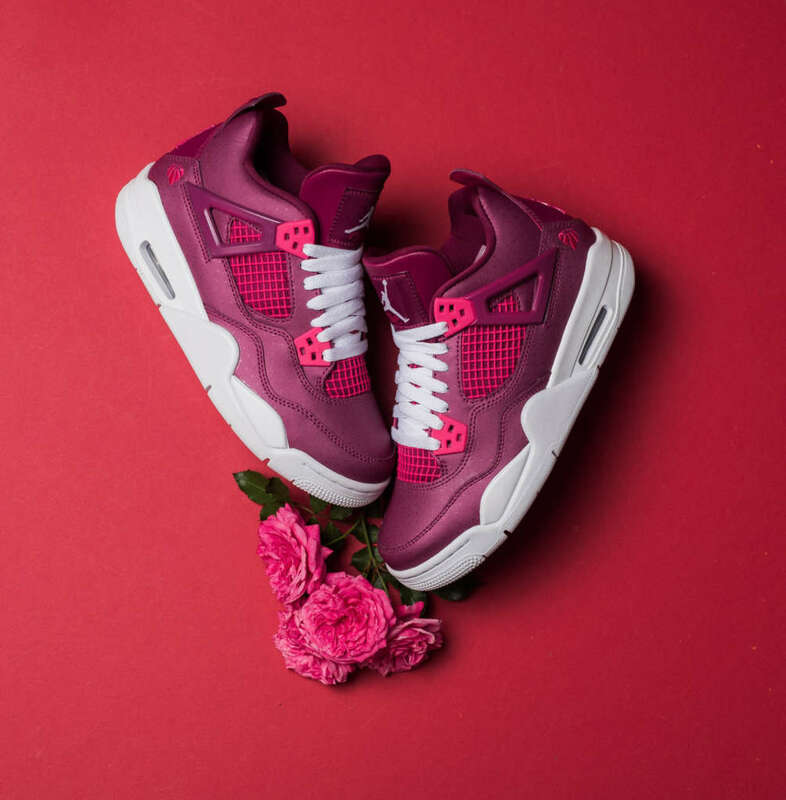 Jordan Brand has adorned this edition of the Air Jordan 4 with the For the Love of the Game heart shaped basketball logo. 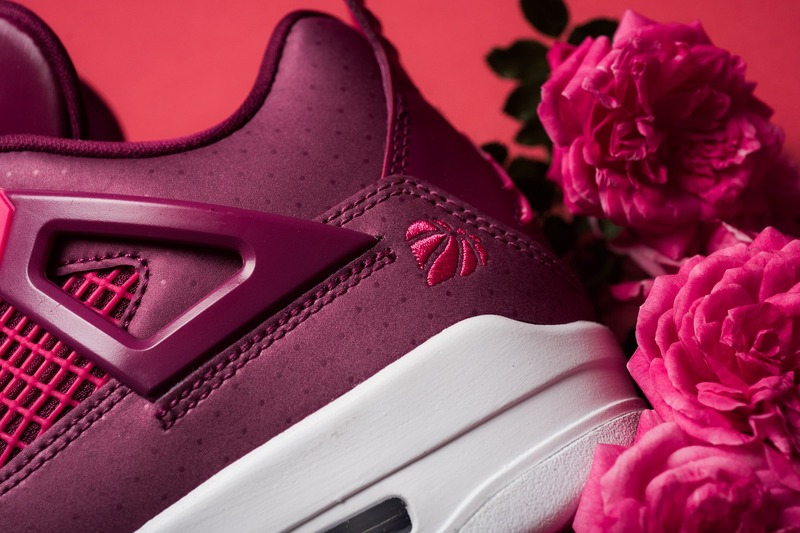 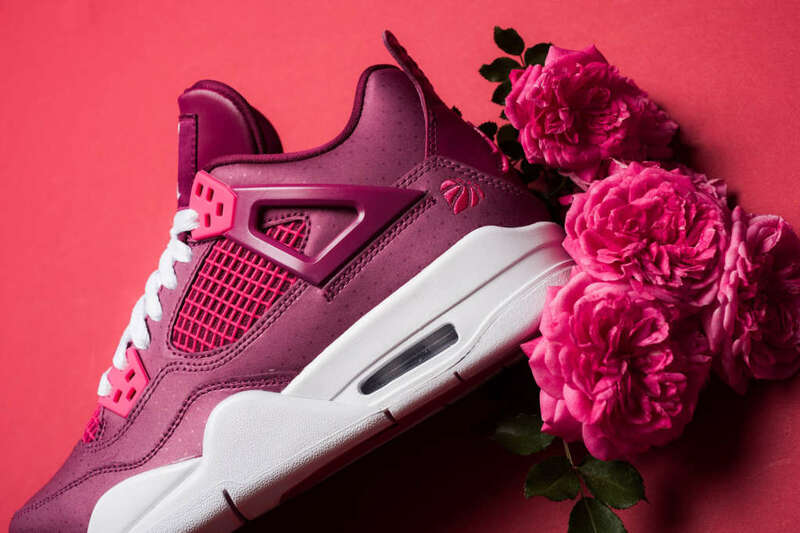 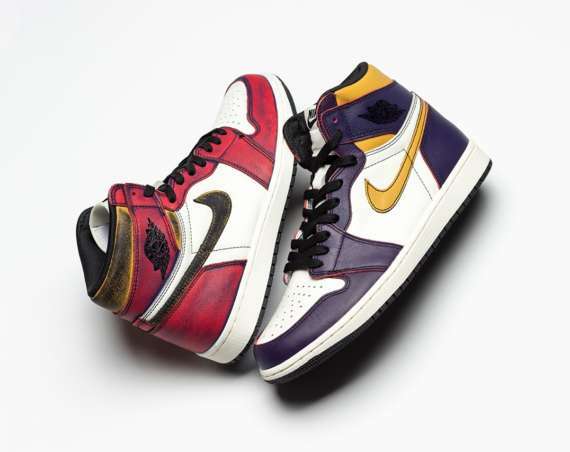 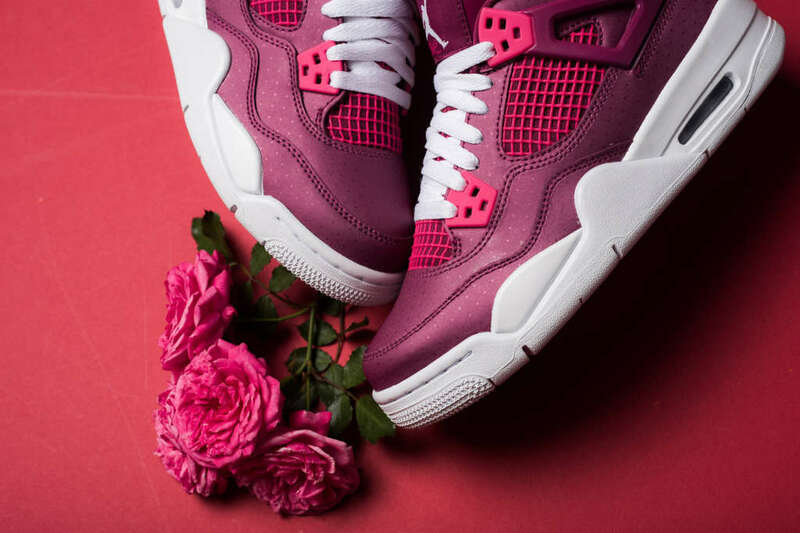 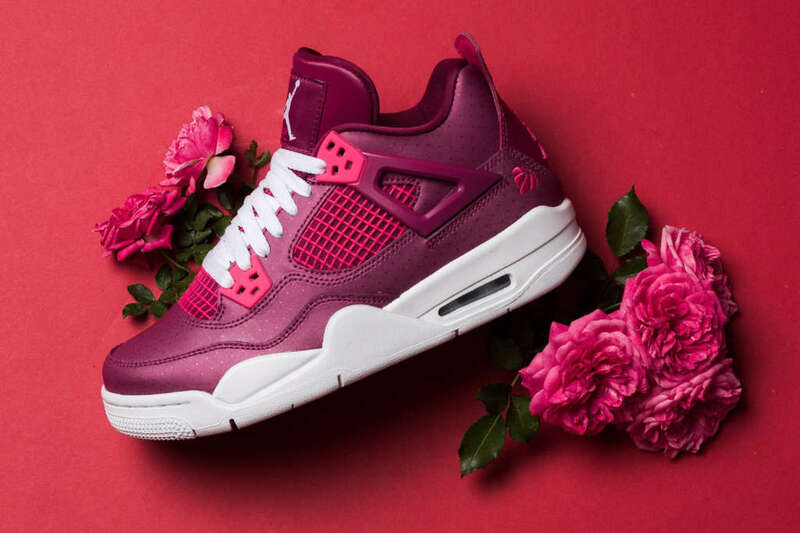 The sneaker is part of Jordan Brand’s Saint Valentine’s Day Pack. 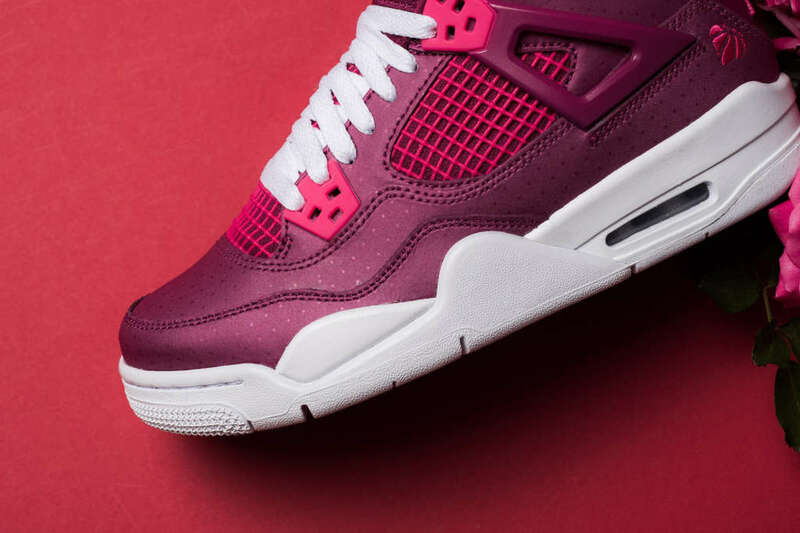 Created in a GS size range, which can fit women, the sneaker is dressed true berry purple with rush pink accents. 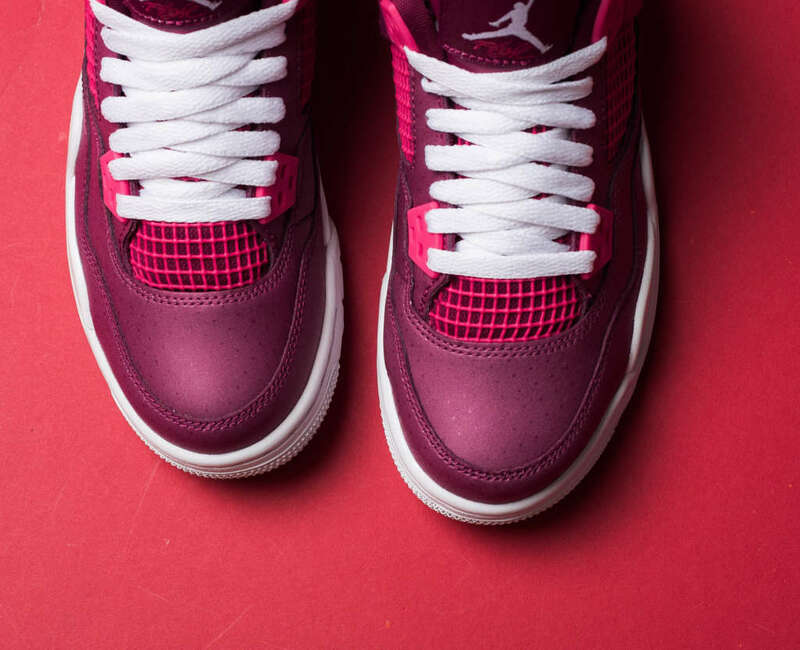 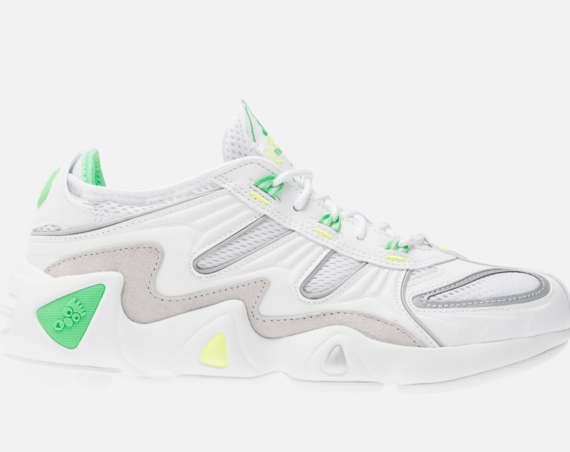 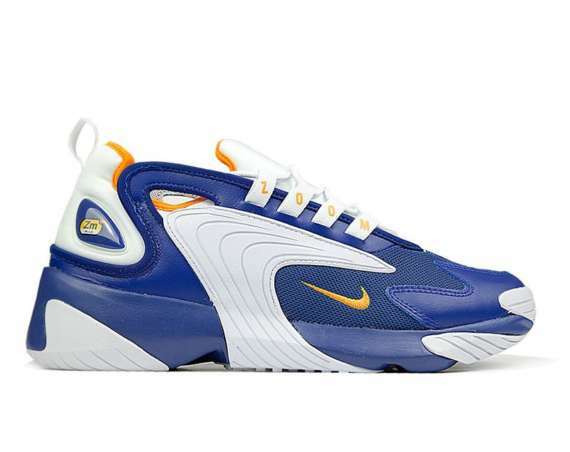 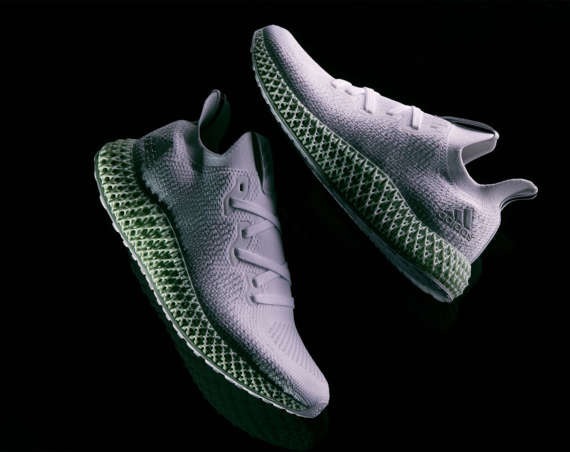 The sneaker is set to launch on the 9th of February at shops that include US based Politics.